***Our rates are per room, per night and are room only unless otherwise specified*** The Best Western John Howard Hotel is an oasis of tranquility and elegance in the heart of Central London. 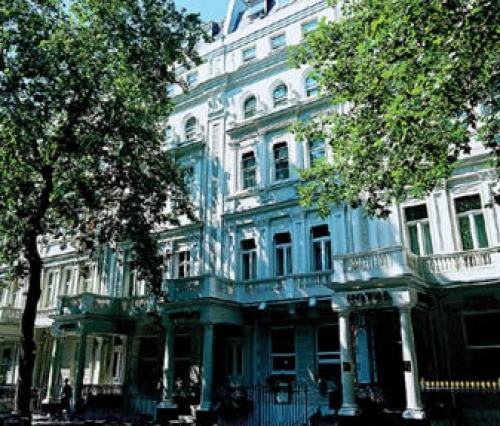 Our property is located on a tree lined boulevard in the exclusive Royal Borough of Kensington and Chelsea. The Best Western John Howard Hotel offers a choice of 40 luxurious bedrooms 12 handsomely furnished apartments for families or business travelers wanting greater privacy, space to entertain, or those wanting the privacy of an apartment but the luxury of 24-hour room service and a restaurant. Each self-contained apartment has its own kitchen equipped with oven, hob, refrigerator and a range of cooking utensils and tableware. A regular maid service gives you the freedom to enjoy your stay without any chores, and the hotel provides a laundry and dry cleaning service. Our friendly staff is always on hand to offer efficient and prompt service, ensuring you get the most out of your stay in London. In short, the Best Western John Howard Hotel is your home away from home.